We&apos;ve seen it before—DeSean Jackson rocking fresh Jordan XI customs—as the wideout is back at it, this time around sporting a new low-top edition of the heralded JB silhouette. 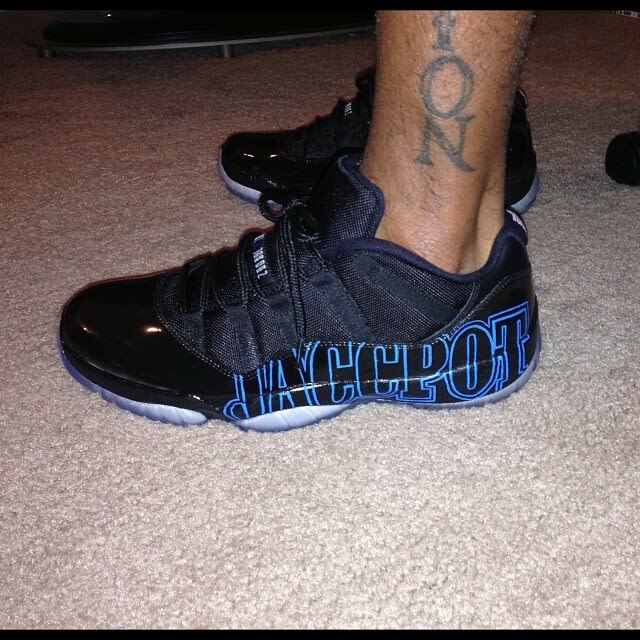 Again showcasing his "Jaccpot" tagging, the pair features a black upper, with an icy outsole complementing underneath. The Jaccpot branding has been done up in blue to pop atop the dark backdrop, as tonal black laces then accompany to round out the custom kicks. Let us know what you think of this Jaccpot Jumpman custom for DeSean.